Long hours sitting in the woods have helped some. Just time without having to do anything. I always take my journal so I can write. I read over past entries. I ponder things. I am forced to be present with my thoughts. I have reconnected with some things of which I had lost sight. I let myself get distracted by media driven ideas of what I should be doing. On what I should be expending resources. At my nine to five, I will have to do all over again tomorrow the tasks I have done today. The sense of satisfaction is void. I keep a to-do list at work to help relieve the strain of feeling I never get anything done at my desk. I keep work in folders that are fluid. Papers move from one to the next, helping me feel I am getting someplace. But nothing at my nine to five feels as good as my clean house. My true vocation is home keeping. I was born to be a housewife. It suits my temperament. 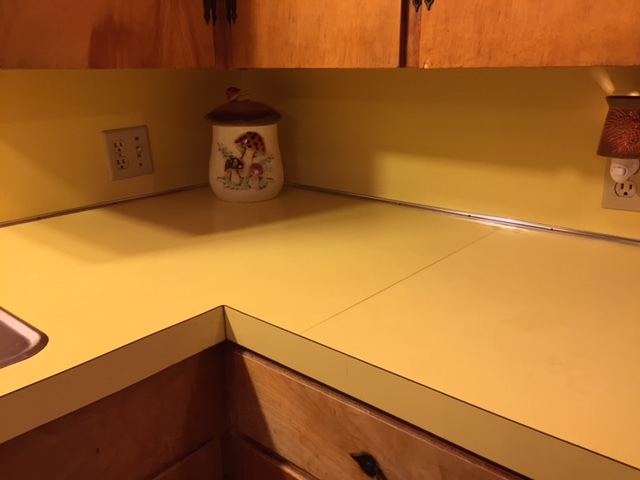 I like the tasks and the sense of accomplishment I feel when the counters are clear and the floor is clean. Yes. It will need to be done all over again tomorrow or maybe before the day is out. But, there is satisfaction in it for me. I have complained about the constant business I conduct, moving piles from here to there. Getting rid of things, accumulating things. Sorting and resorting. Arranging and rearranging. I am feathering and refeathering my nest. A natural born nester. That is me. Even in my deer stand, I nest. I have three chairs in each. One is for shooting. One is for napping. One is alternately a foot stool or a table. I have a blanket, too. I haul a thermos full of coffee going in, empty coming out. Writing materials, my precious lists, a pen and two back up pens. I don’t take reading material. I want to be forced to hear my own voice, see the images in my own mind. The last evening I was sitting, I wrote a page of fiction including dialogue. Is it the beginning of a story? Maybe. I will have to do as my little friend at church says. It’s okay to be afraid but still be brave. Be brave enough to face the demons of the past and the pain of death’s sharp sting. Having expended such enormous energy to put all that pain in a place I can manage, it will be terrifying to pull it out and go through it again. That is what I will have to do. But, this time, it will simply be the memory of the pain. I have lived through the disasters. Now I will simply recall them. They did not destroy me the first time. The memory of them will certainly not destroy me now. The comfort afforded me by my home and the constancy of my simple housekeeping will serve to keep me grounded. My home is filled with reminders of my long gone loved ones. The house itself is a reminder of the joy and agony of the past. Perhaps the story I need to write echoes here in these walls. Today as I performed the tasks relevant to providing our evening meal and provisioning our future meals, I thought of the long legacy I have. Since Eve have my ancestral mothers kept house. Ensuring meals and clothing, bedding and warmth were present. I like to think they provided with love and generosity the things a housekeeper does to make a place of abode a home of refuge. They have an epic story to tell. I am writing this satisfied. My counters are clear and so is my conscience as I prepare for sleep. No fear of Mab, tonight.